Following the footsteps of Tamil Nadu, Telangana is all set to have a comprehensive health strategy to manage heart attacks in all hospitals. 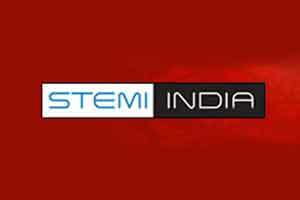 The NGO STEMI INDIA, has designed a comprehensive heart management strategy to allow treatment of heart attack patients to begin in the golden hour. The purpose would to enable early diagnosis and treatment of heart attack. The NGO is offering to take the onus of training doctors and professionals in the management of heart attack. “Our model has been successfully carried out in Tamil Nadu where we managed to bring down the mortality rate due to heart attacks by 4%. In the 11-month operation period of the pilot project, our intervention saved four lives per 100 heart attack patients,” said Dr Thomas Alexander, interventional cardiologist and founder of STEMI INDIA. The suggested model includes dividing the entire state into clusters comprising 10-15 government and private hospitals and 108 ambulances fitted with portable ECG devices and 3G connectivity. The models designed on the hub and spoke framework would be aimed at reducing the time to hospital and treatment. The cardiologist also pointed out the importance of thrombolysis in early stages of heart attack. The government is yet to approve the proposal.